The Picture Restorer invites businesses of interest to paintings conservator-restorers to advertise directly to our specialist readers! The Picture Restorer appears biannually in a printed format mailed directly to BAPCR members and journal subscribers. The Picture Restorer is enjoyed all BAPCR members and many of their colleagues thanks to the informal circulation of copies. The journal now reaches an expanding international readership, as far afield as Brazil, Canada, USA, New Zealand and India. The journal is available on a number of library subscription services and back issues of the journal are available for purchase. The printed journal is A4 format with approximately 50 inner pages and is printed in full colour. The Picture Restorer is represented online within the BAPCR website. BAPCR members and the public regularly visit the site for all BAPCR information, selected content from the current issue, and the store. Our advertisers are generously represented throughout the website in the prominent left hand margin. 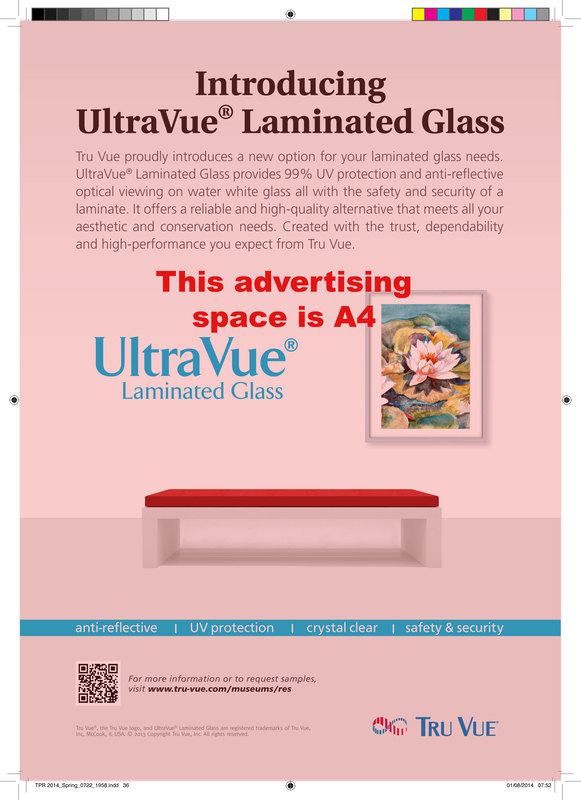 Each advert carries a live link to the advertisers own website. Further advertising opportunities are available surrounding the regular activites of the Association or the special events we organise, for example BAPCR conferences are usually accompanied by a trade fair. Please contact us to discuss how we can help you to reach your target audience! 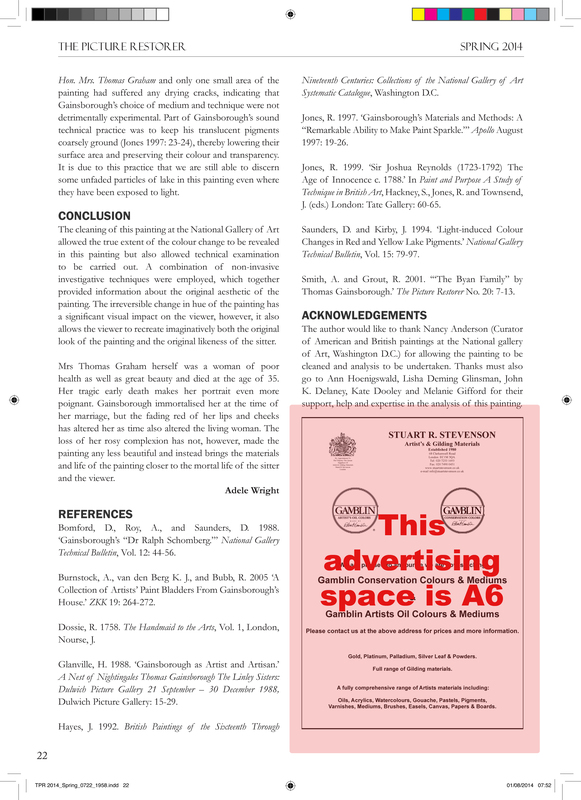 Advertisers now appear simultaneously across all The Picture Restorer platforms, in print and online. 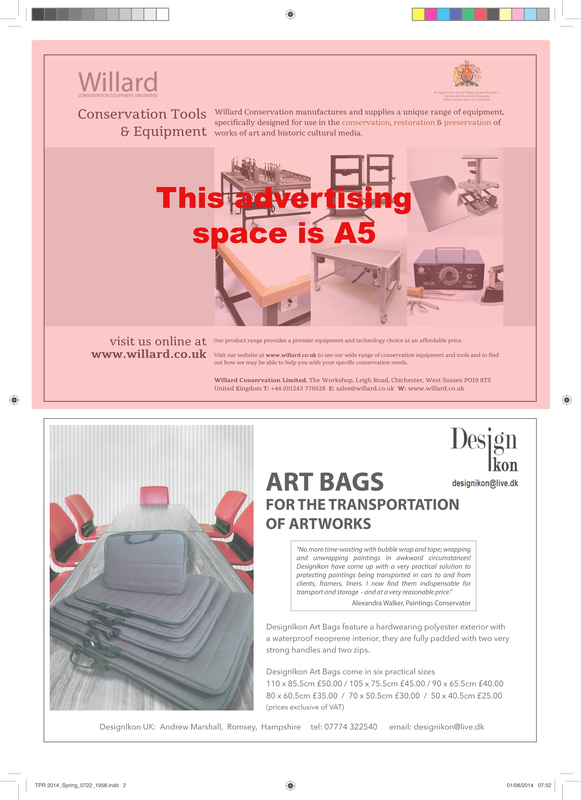 Single issue package – advertise in one issue of the journal and receive 6 months website exposure. Double issue package – advertise in both the Spring and Autumn issues of the journal and appear on the website for year to receive a special discounted rate.